A stunning 9ct gold ring channel set with 1/2ct worth of exquisite diamonds. Precious diamonds and yellow gold. 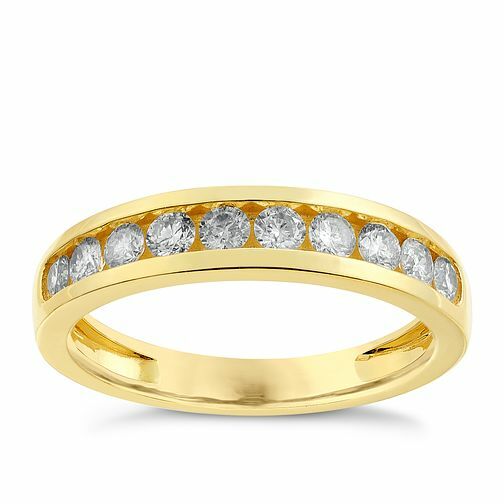 9ct gold 1/2ct diamond ring is rated 5.0 out of 5 by 1. Rated 5 out of 5 by Anonymous from A classy sparkling ring that's just right We purchased this as an engagement ring because I didn't want a raised mount. This style Is classy, with just enough sparkle and it looks great on my long fingers.